Dwolla is a payment network that allows anyone to send, request and accept money within a couple of seconds and inexpensively. It began in 2010 and currently has over 250,000 users and processes $3 million a day in payments. 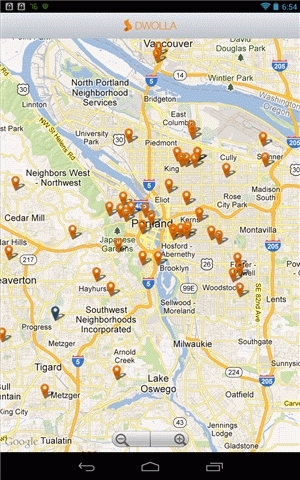 The image below was captured from my tablet and shows local businesses accepting Dwolla payments. The cost per payment is $0.25 per transaction, paid by the recipient, unless it is less than $10, in which case it is free. This is 21 cents less than a stamp to mail a check, and you don't need envelopes either. The mobile apps are excellent, making payments easy from phone or tablet as well as computer. My recommendation is to setup a special bank account and put a few hundred dollars in it. Specify no overdraft protection. Then link your online accounts to that account and supply them with some money so payments can be made from the online account balance without touching the underlying bank account. This will give you two layers of insulation from your main checking account. Paypal also offers apps and windows programs allowing direct payment. If made from your account balance or attached bank account, there is NO charge at all. 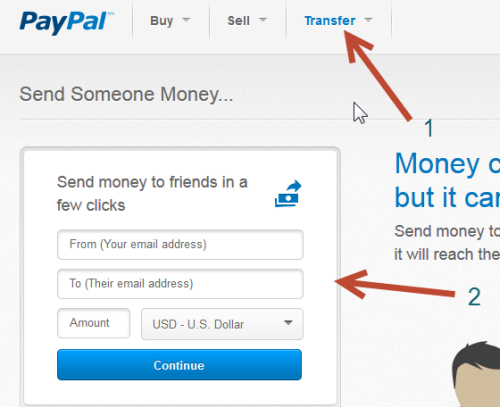 From Windows, just access your Paypal account, click transfer and send money to someone email address. The trick is to make sure you do not use a credit card, then the credit card fee is incurred. Paypal also has an equally simple mobile app. Paypal limits the number of times you can receive a payment for free. Subsequent payments will be charged at the credit card rate. Both of these services will allow you to send money to another person with a Dwolla or paypal account. Both of these systems offer mobile apps for your phones and tablets. Besides the low cost of these systems, the payment arrives instantly in the recipients account. I currently use and will accept Dwolla payments. I'm checking on the ability to send money to email addresses from banks. Will report as information comes in. If any of you do it, let me know how it works.